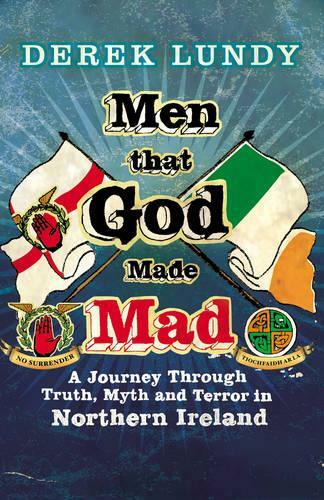 In this remarkable book, Belfast-born Derek Lundy uses the lives of three of his ancestors as a prism through which to examine what memory and the selective plundering of history has made of the truth in Northern Ireland. In Ulster the name 'Lundy' is synonymous with 'traitor'. Robert Lundy was the Protestant governor of Londonderry in 1688, just before it came under siege by the Catholic Irish army of James II. Robert Lundy ordered the city's capitulation. Crying 'No Surrender', hardline Protestants prevented it and drove him away in disgrace. William Steel Dickson's legacy is a little different. A Presbyterian minister born in the mid-eighteenth century, he preached with famous eloquence in favour of using whatever means necessary to resist the tyranny of the English. Finally there is 'Billy' Lundy, born in 1890, the embodiment of what the Ulster Protestants had become by the beginning of World War I - a tribe united in their hostility to Catholics and to the concept of a united Ireland. The lives of Robert Lundy, William Steel Dickson and Billy Lundy encapsulate many themes in the Ulster past. In telling their stories, Derek Lundy lays bare the harsh and murderous mythologies of Northern Ireland and gives us a revision of its history that seems particularly relevant in today's world.